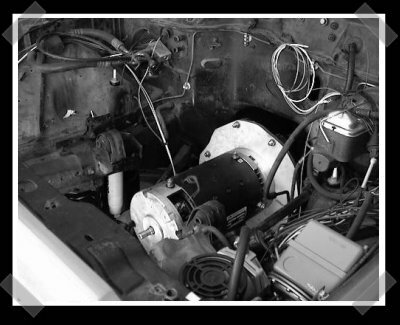 [Ed Zarick] built a module to control his vehicle which he calls the Jeeputer. 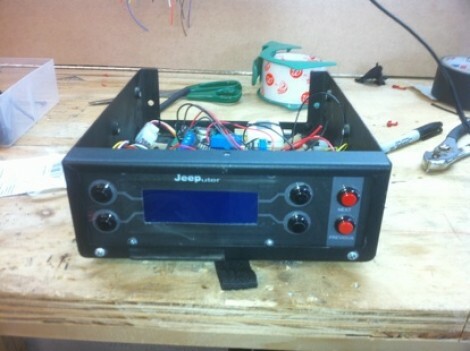 The name’s a mash-up of Jeep and Computer; the device itself is a combination of Arduino, character LCD, and a collection of shift registers and relays for interfacing. Watch the video after the break to see what this can do. We were surprised in the beginning when he says that all he has left to do is remove the steering wheel lock and he’ll be able to drive using the interface, but we think he means type in a code to unlock the ignition, not remote control for his car. He then goes on to demonstrate garage door control, power cycling for CB radio, GPS, 110V power inverter, vehicle light control, and much more. This must be the most feature packed car computer we’ve seen so far.